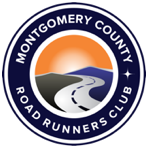 This award is to recognize the club race director who has most exemplified the high quality and standards of MCRRC low-key races. Selection: To be selected as Race Director of the Year, a person must have directed a low-key club race during the year. The Race Director of the Year should have performed all basic tasks including course marking, safety, directing volunteers, announcements, refreshments, results, post-race evaluation, and, in addition, shown creativity by adding special touches to the race beyond the basics.